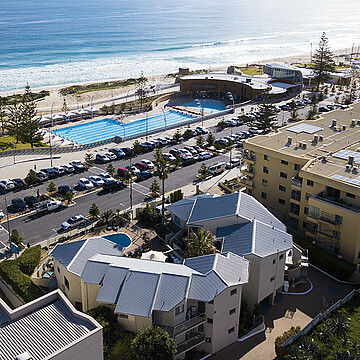 ABSOLUTE BEACH FRONT, any closer and you would be in the ocean, 1st floor apartment in the heart of the Scarborough beachfront, opposite beach, the new pool and right near shops, cafes, restaurants and transport, you wont find better value anywhere. The apartment features 2 good sized bedrooms, a large lounge and dining room with open kitchen with lots of cupboards, an awesome balcony and swimming pool in the group. The apartment also includes all furniture fittings and fixtures, it is zoned short stay so is perfect for holiday letting. There is no management or lease involved with the property so you can do it yourself or have the local experts do it for you. Another home proudly offered for sale by your number 1# local agents for sale, Email us and We will be in touch with more details, showing times, property updates & to find out as soon as your dream home has been listed for sale. 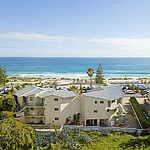 And to learn how this property could be yours, book in to one of our FREE Power of property sessions, reduce your tax, increase your wealth and retire earlier, phone 9341 6611 for details.